In the 1970s, in order to fight the growing rate of organized crimes such as drug rings, gangs and other groups forming to engage in criminal activities, the federal government created and enacted the Racketeer Influenced and Corrupt Organizations Act (RICO). This act allows law enforcement and prosecutors to go after groups of criminals who are considered to be racketeering and performing other criminal acts as an enterprise. What is unique about RICO is that it can bring both criminal charges resulting in potential criminal penalties as well as civil actions to obtain treble damages. Treble damages — meaning three times the amount in compensation — are reserved for the most offensive civil actions. As you can see, any charges brought under RICO are very serious. You are now in the federal prosecutor’s realm. It is very important to your freedom and future that you do not waste any time in obtaining serious and seasoned criminal defense counsel. For RICO defense in Orlando, reach out online to The Umansky Law Firm. 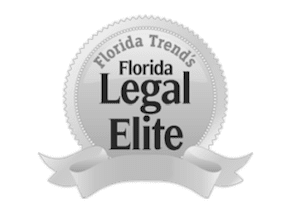 Our attorneys can provide effective defense strategies for RICO charges in Florida. Federal RICO charges are extremely complex in nature and can be just as confusing. As a result, having an experienced advocate to guide you through the cloudy process is critical. Conceptually understanding these charges can be achieved through one word- Mafia. Racketeering charges were created in response to issues prosecutors ran into when attempting to charge a criminal boss for the underlying crime. Since the boss did not personally commit the alleged offense, the prosecution could not successfully prosecute the higher ups. the use of any enterprise to commit illegal acts. As you can probably tell, the language of the law is designed to connect you to an offense the prosecution may not otherwise have enough evidence to do so. A criminal enterprise is an organization that works together over time and has a structure with one or more persons calling the shots. The enterprise’s purpose does not need to be illegal. A pattern of racketeering exists when members of the organization have engaged in ongoing illegal activity. At least two related predicate crimes must have been committed. If they are unrelated, then a pattern does not exist. Effect on Interstate Commerce refers to anything that has any effect on commerce in more than one state. Prison: Although a prison term under RICO should not exceed 20 years, it is still possible to receive a life sentence if the predicate crime carries such. Forfeiture: The courts may seize any of your property derived from any of the above illegal activity. If the specific property cannot be located, any property can be seized. Clients facing RICO charges in Florida are at risk of literally losing everything, including their freedom. We cannot stress enough the importance of talking to one of our experienced defense lawyers to immediately start helping you and developing defense tactics and strategies for your specific RICO case. Like many defense strategies, an early proactive defense is key. This is important for many defenses including illegal searches and seizures. For example, if law enforcement failed to follow proper warrant or consent procedure, the evidence obtained may have been seized illegally. We may then file a motion for the state to throw out the evidence. Sometimes clients who are charged under the RICO act, had no idea that they were involved in criminal activities. Facts like this are critical as a lack of criminal intent can serve as a defense. In addition, if the prosecution can’t prove that you a part of the racketeering organization beyond a reasonable doubt, then you cannot be convicted of racketeering. Another viable defense would be proving the predicate crimes are unrelated. This would destroy the pattern of racketeering requirement the prosecution has the burden to show. It is also possible that one of our attorneys may make the determination that evidence sufficient to prosecute a RICO charge does not exist. Many clients ask whether or not it is necessary to hire a private attorney when a RICO charge is filed against them. The answer is, absolutely yes. These cases are extraordinarily complex and the penalties are just too high. Don’t unintentionally provide the prosecution with more evidence to use against you. Make sure you have your attorney present before talking to anyone, especially law enforcement. Remember, the statute was written to make it easier to prosecute individuals who were too far removed from the eye of the offense. That means the statute provides a greater surface area for prosecutors to work with. Former clients have described themselves as shocked and amazed with their results, in addition to the attentiveness and professionalism of our attorney Brice Aikens. When your future life is in jeopardy, paralyzing fear makes the next step difficult. Our client first approach really helps ease those in the darkest of hours. Let’s take the next step together. Increase your chances of getting your charge reduced or dismissed by contacting our firm today.